Straight after the PS3 version was done, in fact. 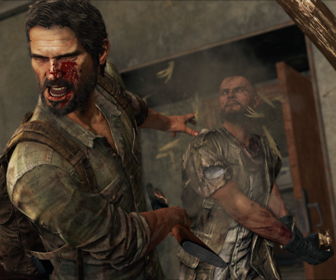 Naughty Dog has revealed development on The Last of Us: Remastered for PS4 began almost straight after production on the original game wrapped. In a new video interview, Naughty Dog co-president Evan Wells explained that whilst the developer had been telling us all for months no PlayStation 4 version was in the works, this wasn't strictly true. “We had a lot of people on the forums saying ‘can I play this on PlayStation 4?’ We had actually been anticipating that, and started working on it pretty much as soon as we finished the PlayStation 3 [version]," he explained. "We weren’t sure if it was going to go anywhere, but when we saw the fans clamouring for it we doubled-down, and put more effort behind it. After PlayStation Network leaked the game is coming to PS4 yesterday morning (and after Amazon posted it for pre-order), Sony finally broke its silence. It confirmed The Last of Us: Remastered is real, announced what DLC will be included, and promised all cutscenes will be getting director's commentaries.